Enduring his new HOT area....Salto! How are you all doing? Thank you for your letters every week. My new companion, Elder Studebaker, likes to run and we have already gone running twice! The area is awesome and the ward is even better. It is actually like a functioning ward and I love it. It almost feels like we are in the states in church until everyone around me doesn't speak English.... haha! However, we had 92 people at church, even with elections on Sunday (p.s. elections here are obligatory. You HAVE to vote here.... crazy huh?) and so that was awesome. We have so many people that want to go out with us on visits. Lots of hours with members coming.... I can feel it. 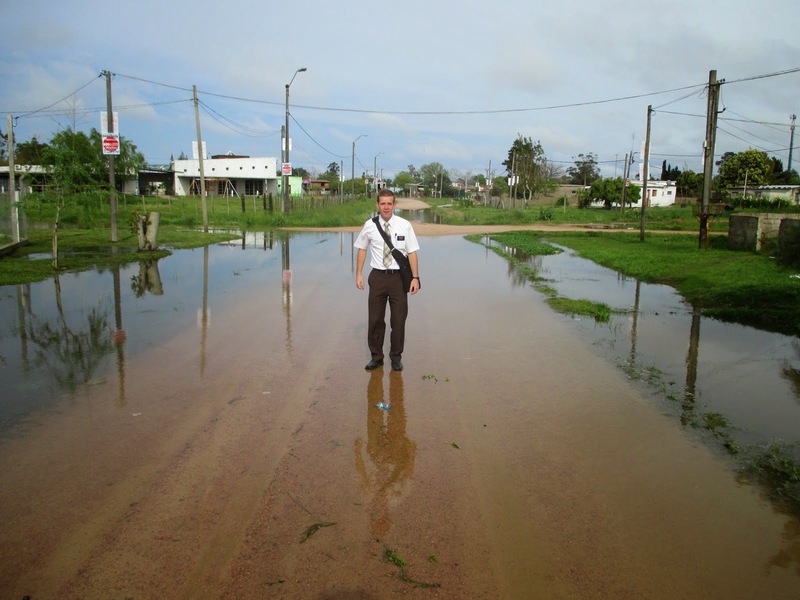 The dynamics of missionary work are just going to be very different here. I like it though! 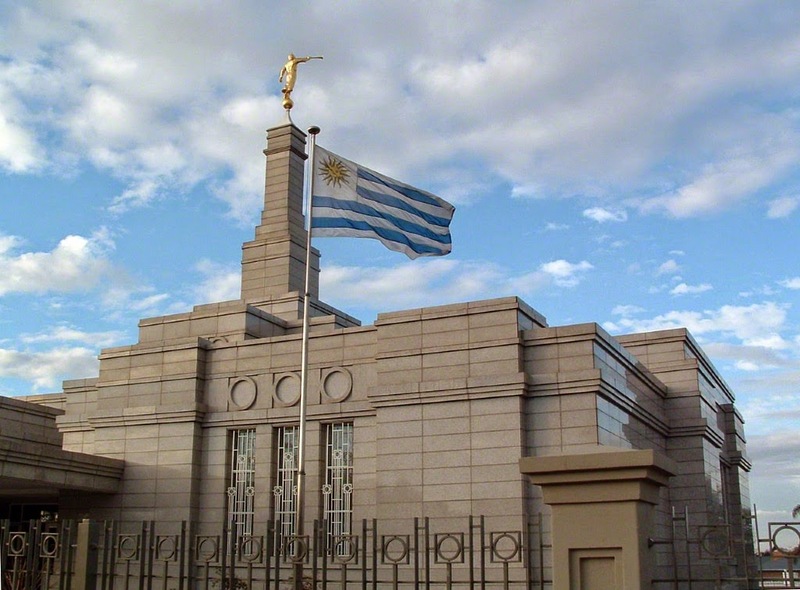 The ward/area is called Obelisco. We are only about 5 miles away from a bridge that goes over to Argentina so that is pretty sweet. We have a new house and I had the opportunity to move the second day I was here....fun right? We live with 2 other elders. 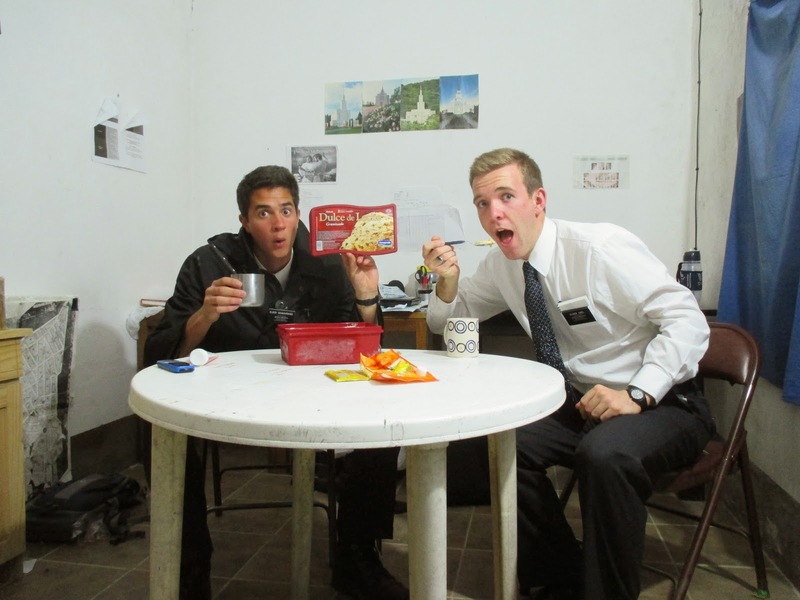 Elder Woodcock from Arkansas and Elder Nelson from Utah... Box Elder High. He is only 6 weeks older than me in the mission. It is nice to live with other elders. It has been fun. 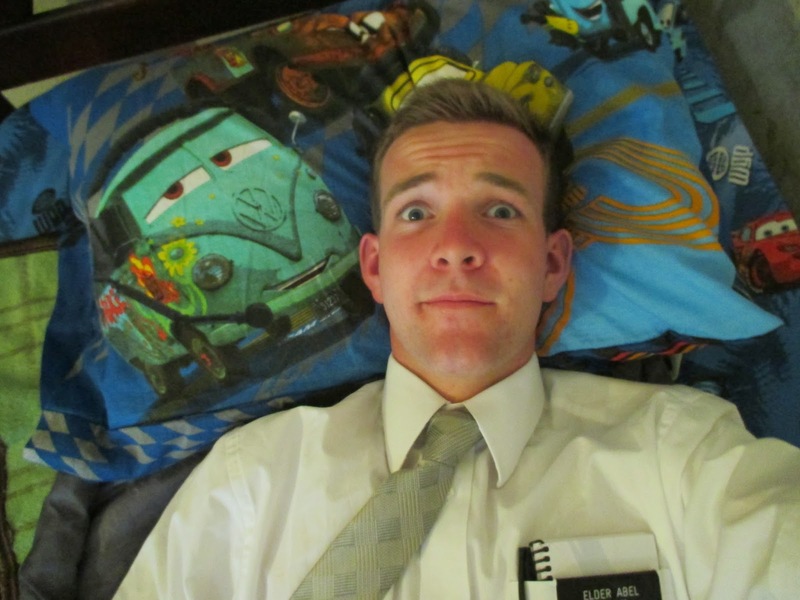 I just miss my boy D-ray (Elder Devashrayee). It is going to be a long change probably, but I am adapting well. Just got to speak up more in the charlas (discussions) and all will be well. I hope all is well with you guys. I sure miss you. I have been thinking about you guys a lot lately.... I love you all sooo much! I hope you all know that. I pray for you lots and pray that you can feel my love.... can you? I hope so! Keep being amazing like you all are. I love you! Stay safe and keep smiling lots. Don't forget that it is okay to send pictures too (; Have a good week! My bags are not so packed.. and I am not so ready to go. Come What May and Love It right? 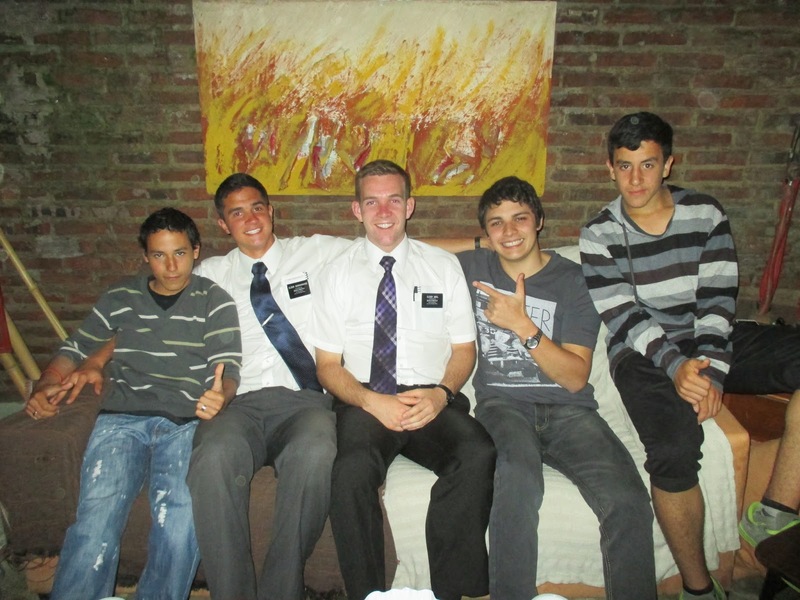 I am leaving Delta El Tigre tomorrow morning....which means I am leaving Elder Devashrayee too. Sad right? SOOOO.... the moment you have all been waiting for....where am I going?! President Smith gave us a call on Saturday for the news on transfers. After he talked to D-ray for a little bit, then it was my turn. With my heart beating fast, I took our phone and answered.."Hoy es el Dia" (that is how we say hello in the mission "Today is the day!") President Smith then asked me if I was ready for my first change. 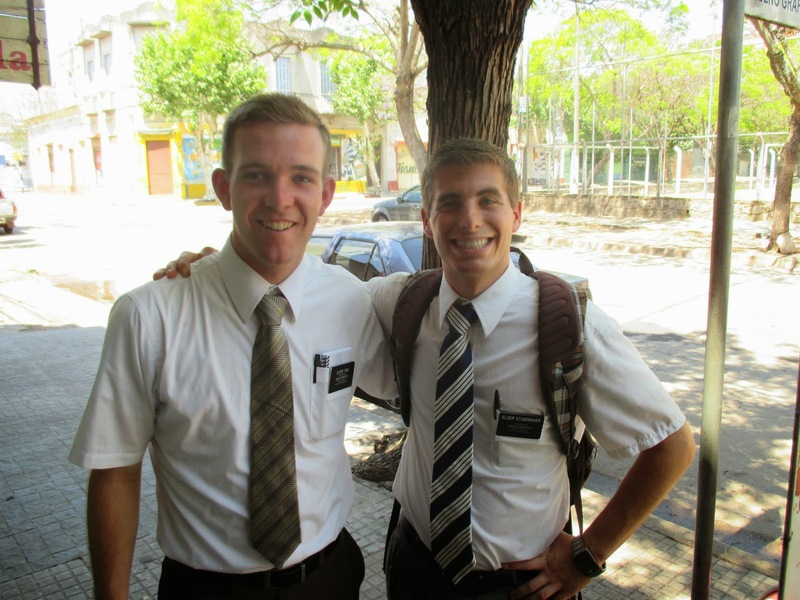 I am headed to Salto and my new companion is Elder Studebaker. He said that Studebaker is the most genuine and earnest guy. 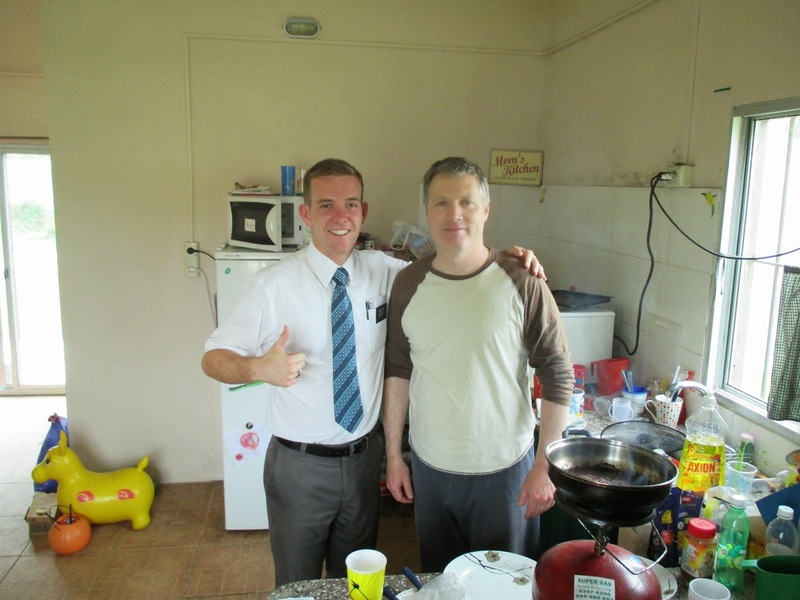 He is from the south I believe, and he only has 3 months left of the mission. I will probably kill him.. muwhahaha (; I am excited and look forward to making another life long friend! Let's hope this new comp. is a STUD(ebaker) right? OH man... I crack myself up! 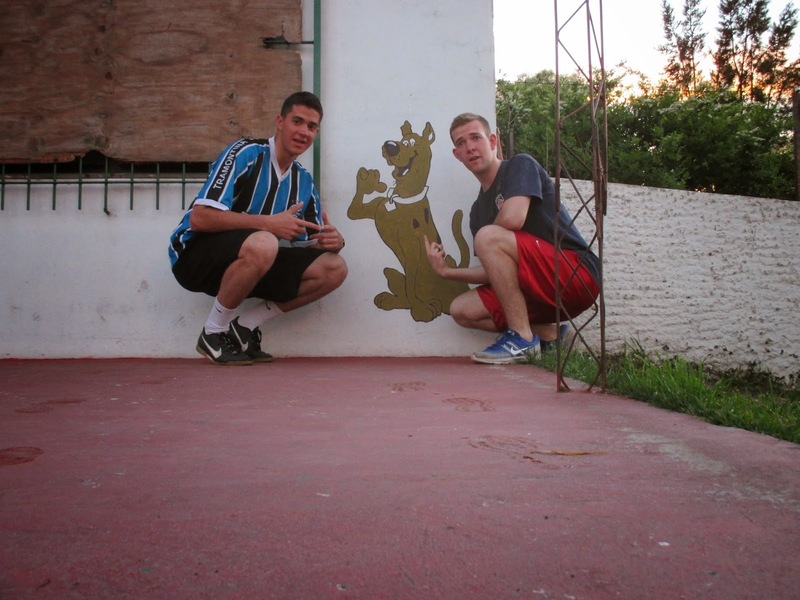 Salto is about a 4 hour drive from where I'm at, and it is closer to Brasil. The closer I get to Brasil the hotter it gets. One member told me that I would get a feel of what hell feels like. Comforting right? I don't know if the people there speak any portuñal (Portuguese and Spanish mixed), hope not too much. I need to learn Spanish completely first! jaja. I don't like changes though.... it is tough to say goodbye to some people here. Having a little FHE with Matias (next to me) and friends. He is getting baptized on November 8th. He is a stud and we love him! We have a new president here in the branch. He is from a different city about 10 minutes away and he is great! He will turn Delta around. 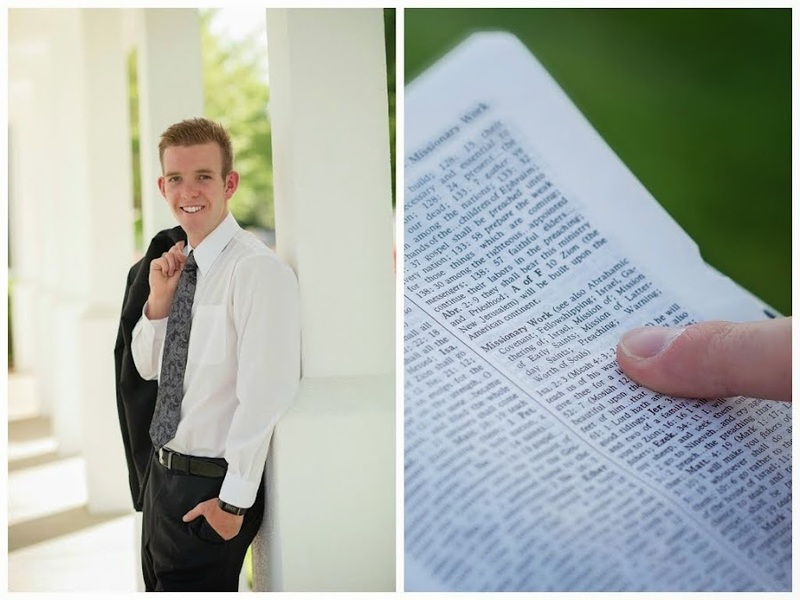 His first counselor is the one and only Travis Mark Devashrayee, and the 2nd counselor will be Elder Eiker, Elder D-rays new companion. I am excited to see all that happens here with the branch. Good things to come! 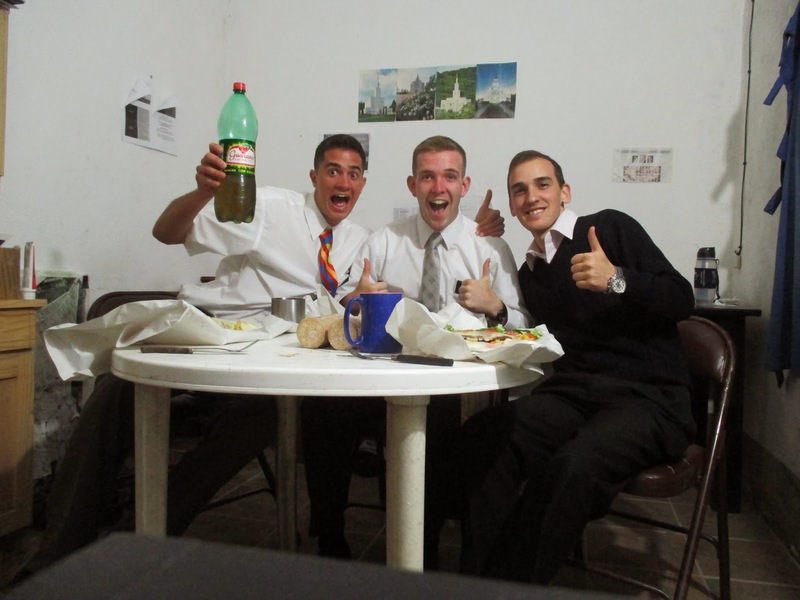 This is us and Matias P. He brought us dinner and some yummy Guarana! You all make my heart happy! Hope your week is great. I love love love you! p.s. please check out the mormon message "The true story of Tom Sylvester" or something like that. It's really neat! 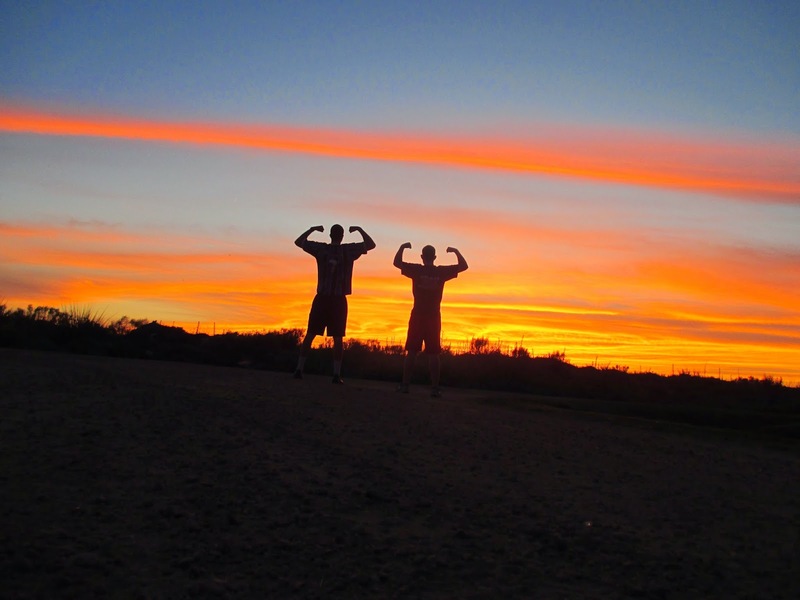 We finished our 5K run with this beautiful sunrise! Our time was 17:43...It was dope! Changes are next week, so my PDAY will be on Tuesday next week.. just FYI. I will probably be headed to a new area because D-ray is the ZL, so I bet he will stay here in Delta. Oh well, come what may and love it right? Ü President or the AP's will be giving us a call either on Saturday or Sunday, so you can all know my fate next week! 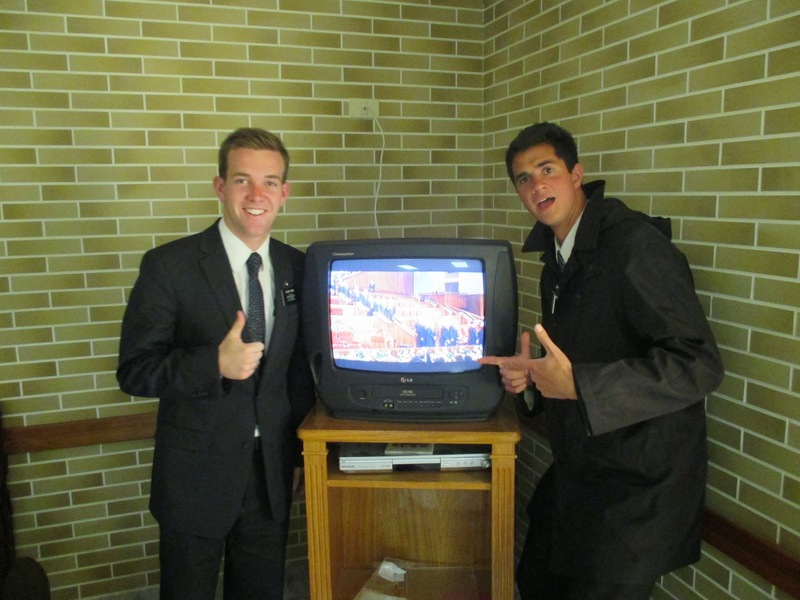 Elder D-ray and I will just keep rocking it! We have so much fun. I really think that I have met a life long friend. We get along so well. If we're not teaching, we are singing some song...any song that comes to mind. It has been a great training and I got one heck of a trainer! Things have been going really well here! We have some really good investigators and we are trying to find less actives that we can teach the doctrine of Christ to. 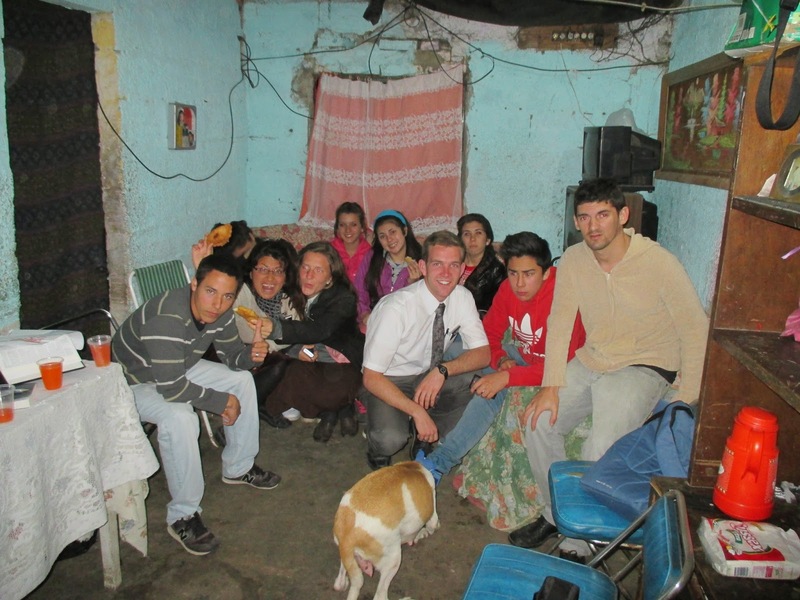 Missionary work is awesome! Today I was reading in Helaman 10:1-5. It talks about Nephi declaring the word of God. The Spanish word that is used to describe how Nephi works is "INFATIGABLEMENTE" which means untiringly. I really just sat there and wondered if I was declaring the word untiringly. That is my goal for next change.... work on finding more and talking to more people in the streets so I can help all that I can come unto Christ. We have beliefs in the mission and that is one of them, taking in every moment. I really want to be better at that one. It just makes so much sense. The more people you talk to, the better chance you have at finding someone who is ready! It was a really good study. You should check it out! I hope all is well...I always do. I pray for you all and hope that this week is amazing! This week.... study somewhere in the scriptures and send your insights. Ü Man you guys are amazing! I love you all soooooo much! Keep being incredible. Miss you so much! We had one heck of a storm the other night and woke up to a lake out our front gate. Can I get a YAHOO!!! Les Amos!!! This past week we had some good lessons and were able to find some new investigators. Two of them will probably end up getting baptized. However, those two don't live in our area. They are friends of Gladys and Martin. Gladys is quite the missionary already. She wants to go on visits with us, and she has friends that she wants us to teach. She is so eager to share the gospel because of how much it has affected her own life. She will be a great leader here in Delta. This week at church, we had 46 in attendance... and that was with only one stake member! Can I get a YAHOO?! (: I had the opportunity to say the opening prayer and my comp and the Hermanas spoke. Elder Devashrayee gave an awesome talk. With the attendance though....whatever we are doing, it is working! We are going to continue to push with the less active and continue activating, as well as teaching the investigators. We have been pretty good with balancing both. My Spanish is coming along. I am feeling more and more confident with it which has been good (: Today we played soccer and ultimate at a soccer field in Playa Pascual with the zone. It was really fun. However, I need to pull out the sunscreen.... it is hot! I got a little red today. I hope you all are just enjoying your sweet Fall weather. I won't have Fall for like a whole year...not until April-ish. Instead I get weather that feels like 130 with the humidity. You are all jealous I know! Okay.. I keep forgetting to tell you. 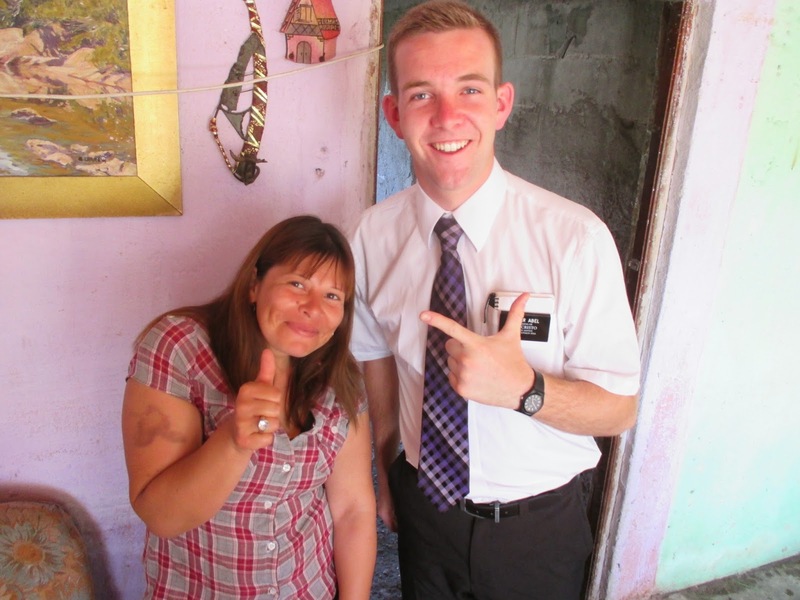 Elder D-ray and I have a goal of running a 5K in under 18:00 at the end of the change. It was 19:00 and D-ray wanted to lower it so I went with it. We are going to start running everyday, and we are going to only speak Spanish starting tomorrow. Wish me luck! For next week, I have divisions with my District Leader to look forward to, and the other with one of the AP's. They both will be a good experience. I am excited but yet nervous for both. They are coming to Delta to do work here. Hopefully I can show them around and speak enough Spanish to get things going in the lessons. It will be a testimony builder for sure! I hope that all is good with you guys! Keep being those amazing people that I know you are! I love you and miss you tons! Smile big, and how about you guys listen to some JT for me this week.... don't forget to take a moment and dance too! I love you! !